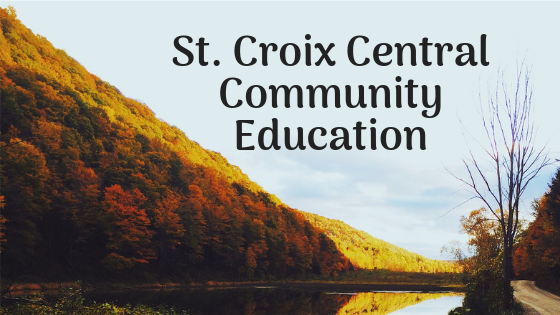 St. Croix Central Community Education is proud to be able to offer a wonderful and diverse platform of continuing education programs. Classes in home, health, crafts, and technology are just some of the offerings provided by SCCCE. Thank you for taking the time to join us and explore. See you in class!